American SUV brand Jeep has just revealed the 2017 Compass, an SUV that will be both produced and sold in India starting from next year. The SUV is expected to be priced in the 15-20 lakh rupee segment, and will be the least expensive Jeep for the Indian market for the next couple of years at least. A volumes-puller, the vehicle will be heavily localized to make for a competitive price tag. The 5 seat SUV will be produced at Fiat’s Ranjangaon factory, and will be exported to right-hand drive markets around the world. In India, the 2017 Compass is likely to be marketed as an upmarket alternate to the Mahindra XUV500. The new SUV is based on the US Small Wide platform, the same that’s used by the smaller, Jeep Renegade. 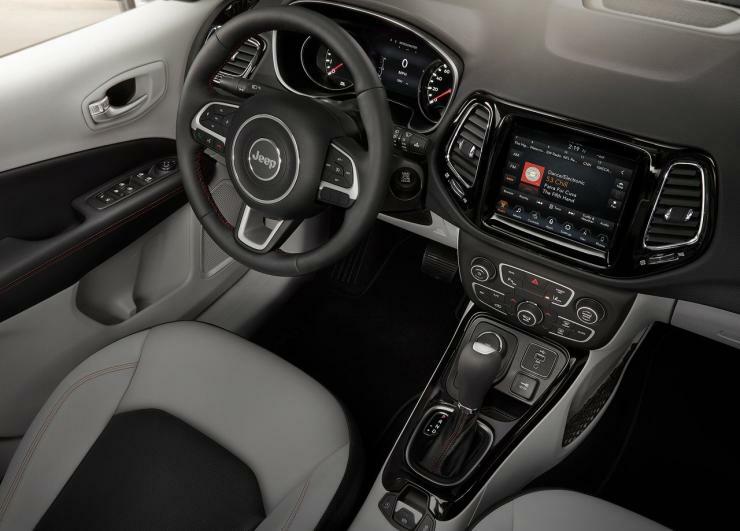 The platform also supports a 4X4 transfer case, and Jeep is expected to offer a ‘Trailhawk’, top-end version of the Compass. Why the automaker has even partially confirmed this by saying that the Compass is based on the ‘Small Wide 4×4’ architecture. Also, Jeep claims that the new SUV would offer class leading 4X4 performance, and even ‘open-air freedom’. The latter could mean a panoramic sunroof that opens to the sky, or removable panels. Coming to engine options, the India-spec Compass is likely to get 2 liter turbocharged petrol and diesel engines. Both manual and automatic gearbox options could be offered with the top-end variants getting a four wheel drive transfer case. Other electronic nannies are also likely to be offered to make it Jeep name worthy, off the road. In terms of safety, ABS and airbags are likely to be regulation features across the variant line up. Traction control, ESP, hill hold and other safety options could be offered on the higher variants. You can expect to see this SUV at a Jeep India dealership nearby in the second half of next year.